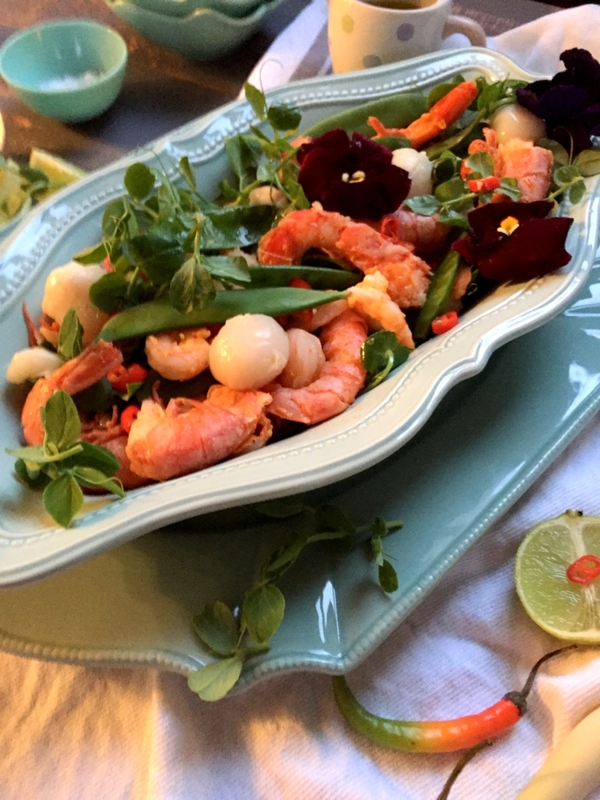 This prawn, pea and litchi salad reminds me of spring! Spring brings the promise of renewal, new beginnings and colour. The weather in Cape Town is so unpredictable at the moment. We are having these glorious spring days and then all of a sudden we are back in the grips of winter with grey, cold and wet days. Although, I’m not complaining as we can make stews, soups and hot puddings on the winter days! Although I absolutely love Cape Town, spring in Cape Town is not as glorious as in my beloved bushveld. In the bushveld you can smell spring…. and you can feel it! There is just this wonderful ‘feeling” in the air; a feeling of excitement, warmth and sensuality! When I was at school the 1st of September was always celebrated as spring day. This was a day where we could wear civvies to school. We also had to take flowers along. It was always one of the best days. The change over from winter to spring in Cape Town is far more subdued. It is hot, cold, hot, cold and all of a sudden it is summer! The last couple of days felt more or less like spring in the bushveld but we are back into winter again today. I absolutely feel alive in spring and want to move mountains! Spring calls for simpler dishes with fewer ingredients. Salads, fish dishes, meat on the braai, fruit salads and generally calls for just a more relaxed style of cooking; maybe because we spend more time outdoors? 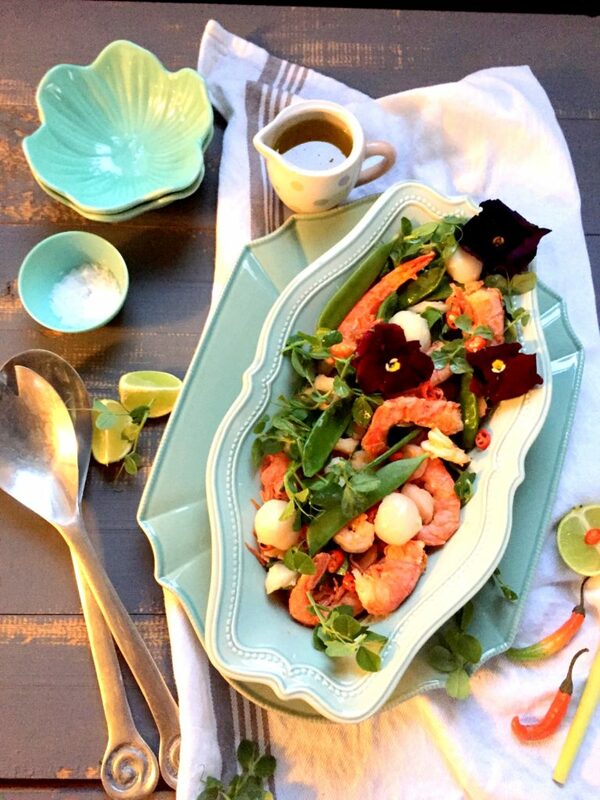 This prawn, pea and litchi salad can be served as a main dish or a starter. 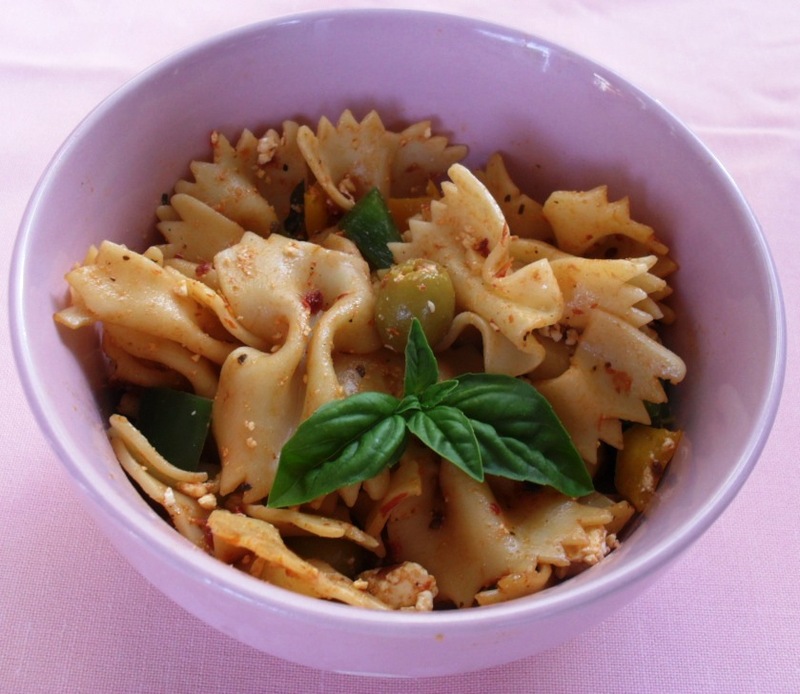 It is a quick and easy dish to prepare. I used tinned litchis but fresh litchis, when in season, will be even better! 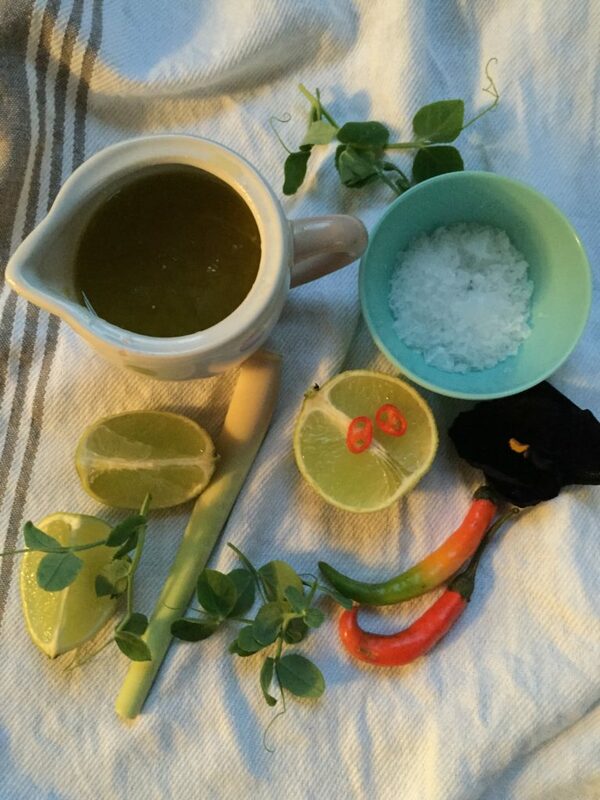 Mix all the salad dressing ingredients together and set aside. Heat the olive oil with the sliced chilli in a pan to medium heat. Cook the prawns in batches 2 minutes on each side or until cooked through. 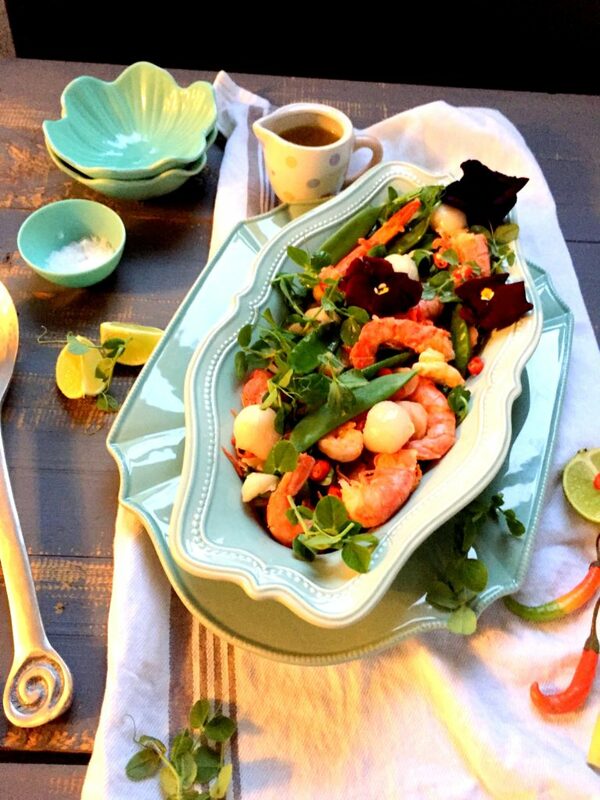 Place the pea shoots, peas, litchis and prawns on a serving plate and drizzle with half of the salad dressing and season with salt and black pepper. Gently mix the salad and serve with the remaining dressing on the side.